I've worked with several of the clever people from the Oracle CEAL team and I highly recommend their blog: https://blogs.oracle.com/pa/ . 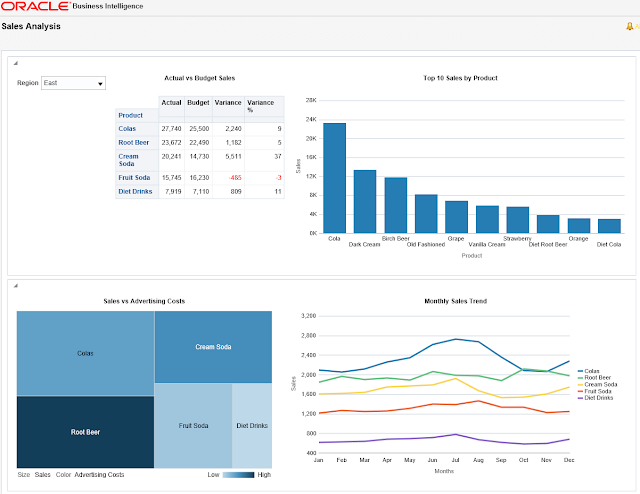 It's full of valuable BI and EPM information. 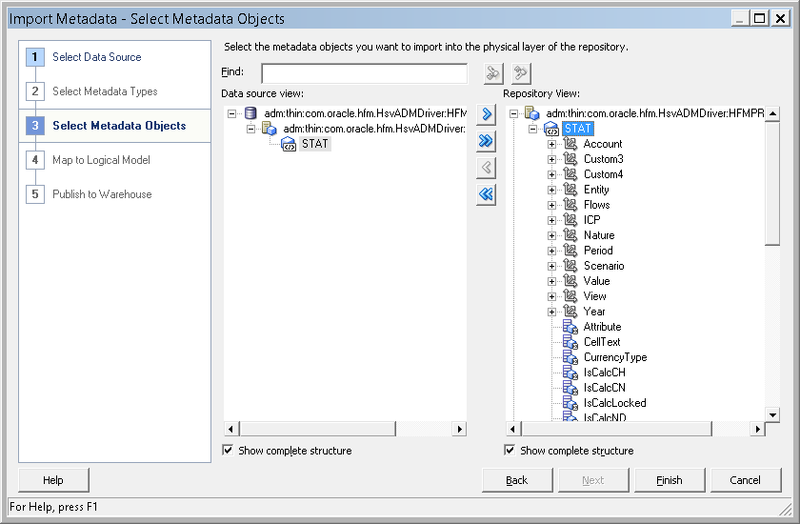 Their latest post https://blogs.oracle.com/pa/entry/integrating_bi_12c_with_hfm shows us how to import HFM metadata into OBIEE 12c. 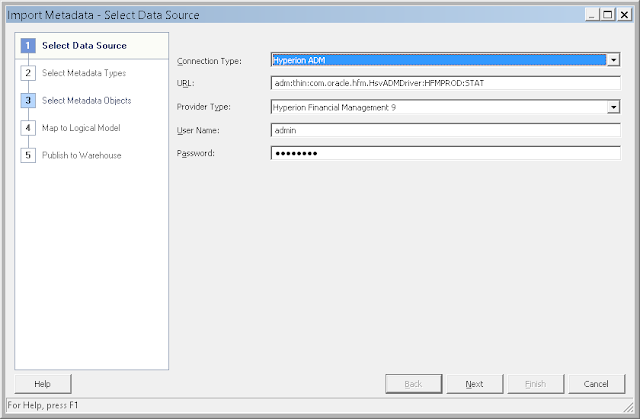 I had some teething troubles configuring this on Windows (mainly due to the direction of the slashes in my path statements) so I thought I'd share my configuration for OBIEE and HFM on Windows. "Could not connect to the data source. 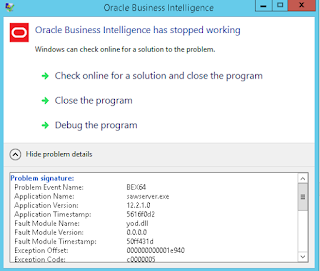 A more detailed error message has been written to the BI Administrator log file". Don't believe the error message, there isn't any extra info in the admin log file so no hint as to where I had gone wrong. I think my problem was two fold - I'm on Windows and had used back-slashes in my pathing statements and I used the bi java host port number that was specified in the CEAL document (9610). The default port for the java host is 9510 so I used that. The text has been wrapped in the image above. Just add the text at the end of your OBIJH_ARGS setting. Save the repository and start building your reports! Now I got same error with above, will update if we can fix it. Hi, the blog shows how I fixed the error and connected to HFM. Hi @epm_bi , Sorry for un-clear message I mean , we configured all follow your guideline and it's smooth but last step when import HFM to RPD we face error same with above reply >>> EPMHFM-69052 : The system was unable to open the application. 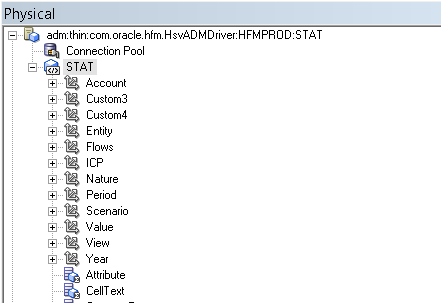 : Failed to connect to ADM URL: adm:thin:com.oracle.hfm.HsvADMDriver:hfmprod:finance'. That same with first reply above. Do you face that before, please advise thank you. And thank you again for great and very detail Blog. We can follow step-by-step almost finish. 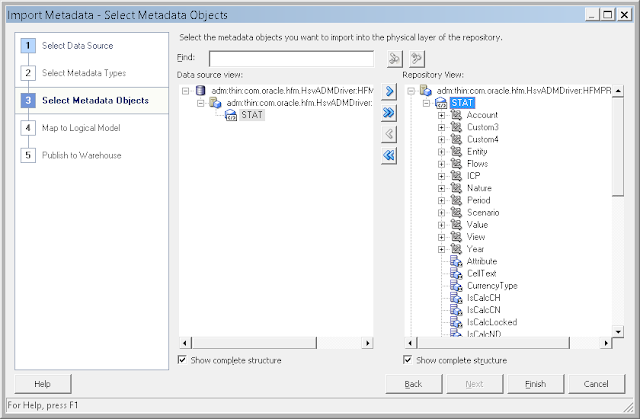 We are creating HFM reports in OBIEE. 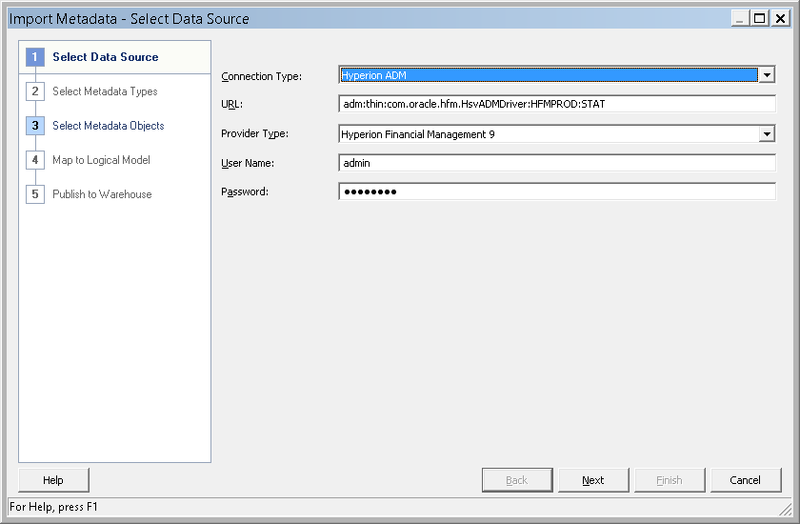 We have imported HFM application in OBIEE 12c physical layer. All the dimensions have been imported successfully. 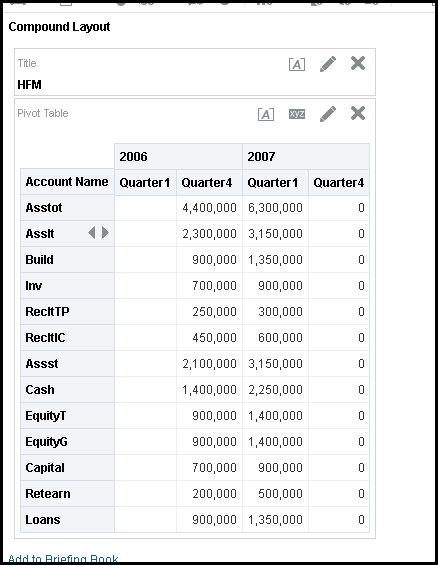 In OBIEE analyses when we are trying to add columns from dimensions data is getting displayed for all columns but not able to view data for Value measure from HFM application. Please help how to check values for Value measure.